On March 8, 2013, U.S. Citizenship and Immigration Services ("USCIS") released its long-awaited update to the Employment Eligibility Verification form ("Form I-9"). The previous Form I-9 expired on August 31, 2012, but USCIS instructed employers to continue using the old form until a new version could be finalized. The new form is available for use, and although USCIS recommends that employers start using the new Form I-9 right away, a 60-day grace period has been extended to allow employers to make any necessary changes for implementation of the new form. Notably, there is an exception to the grace period in the event an employer reverifies an employee – this process must be completed using the new form. Effective May 7, 2013, employers will no longer be able to use prior versions of Form I-9. According to the USCIS, the revisions to Form I-9 are designed to make the form easier to understand and to reduce errors in form completion. The instructions for filling out the form have been expanded and improved to address common questions related to completing the form. The layout of the actual Form I-9 (excluding the form instructions and the List of Acceptable Documents) has been changed from a single page to two pages to allow for new data entry fields and extra space to fill-in required information. Among the additional data entry fields are fields for an employee’s passport information, telephone number, and e-mail address in Section 1, and additional space for "List A Identity and Employment Authorization Forms" in Section 2. Both pages of the new Form I-9 must be kept together, and USCIS recommends printing the actual form front and back on the same piece of paper as a best practice. During a teleconference with interested stakeholders on March 11, 2013, USCIS outlined the changes to Form I-9 and answered questions about the new form, which included helpful guidance for employers. For example, USCIS confirmed its longstanding position that Form I-9 can be filled out by employees prior to their first day of work as long as a job has been offered by the employer and accepted by the employee. If the employee’s actual start date differs from the anticipated start date entered, the form must be revised to reflect the correct start date. USCIS representatives also noted that for optional fields on the new form (e.g., employee phone number and e-mail address fields), the data entry field can be completed, filled in as not applicable, or left blank. Employers that use electronic Forms I-9 should note that information to be filled out by employees in Section 1 may not be pre-populated or entered in any way by the employer. This includes a situation where an employee provides information to the employer and the employer or employer’s electronic system then transfers that information to the Form I-9. An employee may complete an electronic version of Form I-9, but the employee must be the person entering the data into the form. With the release of the revised Form I-9, employers should familiarize themselves with the form and undertake any changes needed to implement use of the new form going forward. The new form can be found on the USCIS website (http://www.uscis.gov/files/form/i-9.pdf) along with additional resources. 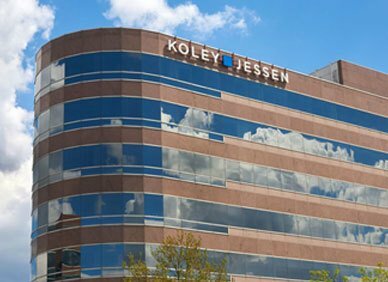 For questions or further information about Form I-9, please contact one of the attorneys in Koley Jessen’s Employment, Labor and Benefits Practice Group.